Don’t you wonder why birds are where they are? Have you been on one of those guided birding trips where you hop in and out of the van spending ten minutes here, or five minutes there, to see the most birds you can in a precious, expensive day? It can seem like birds are like plants and occur in exactly the same place from one visit to the next. Your guide knows just what those patterns are, just the way you know what birds come to your feeder. But why are the birds where they are? Some birds are native, where we think they evolved. How do we know this? Well, lots of reasons, but one of the most compelling is that in the tree of life that covers that species, there are related species close by, perhaps on the other side of a mountain or other barrier, or in slightly different habitats. But what about a bird whose nearest relative is over a thousand kilometers away? How did it get there? This is the mystery of the tufted jay. If you are lucky enough to find a nest, or a nice acorn crop, the noisy, social tufted jays are probably hard to miss in their forested habitat, a tiny stretch of Pacific mountains in western Mexico, more specifically the Sierra Madre Occidental between about 1500 and 2100 m elevation where Sinaloa, Durango, and Nayarit join. This is one of those birds where it pays to know the scientific name, Cyanocorax dickeyi, because it has been called the tufted jay, the painted jay, or, in Spanish, chara pinta. But I digress. If you look at where tufted jays fall in the tree of life and from that infer where they occur, you would choose Ecuador. So what are they doing in western Mexico, in a different habitat from their nearest relatives and so, so far away? Paul Haemig makes a compelling argument that this is a case where humans intervened, carrying the birds from coastal Ecuador all the way to the metal-rich mountains of western Mexico in pre-Columbian times before any European had pulled out a New World life list. After all, birds were important to the first people of our continents. So were feathers. Captured birds were common in cages and in commerce. Why not bring this fabulous jay from Ecuador to Mexico? The next step in this story is to visit the evidence that pre-Columbian people did travel from coastal Ecuador to this part of western Mexico. These data are in the hands of the anthropologists. Clothing, ceramics, metallurgical techniques, tomb shapes, designs, language and even simulations of ocean currents all point to this linkage, so the birds had a natural, most likely, human mediated path to these remote and initially inhospitable mountains. But was there enough time for Cyanocorax dickeyi to evolve the differences it has from its likely ancestor, Cyanocorax mystacalis? After all the Mexican bird lives at different altitudes, has different coloring and who knows what different behavioral, physiological and other differences. I think the answer has to be yes, though the details of the story are likely to be fascinating. All in all, it makes me want to go back to these remote Mexican mountains, a place I have not been since I was a small child. There I could witness the colorful jay, a living reminder of human travels. Anawalt, Patricia Rieff. 1992. Ancient cultural contacts between Ecuador, West Mexico, and the American Southwest: Clothing Similarities. Latin American Antiquity 3:114-129. Bonaccorso, Elisa et al. 2010. Molecular systematics and evolution of the Cyanocorax jays. Molecular phylogenetics and evolution 54:897 – 909. Haemig, Paul D. 1979. Secret of the painted jay. Biotropica 11:81-87. Kittelson, Meredith, and Cameron Ghalambor. 2014. 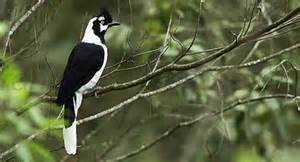 Tufted Jay (Cyanocorax dickeyi), Neotropical Birds Online (T. S. Schulenberg, Editor). Ithaca: Cornell Lab of Ornithology; retrieved from Neotropical Birds Online: http://neotropical.birds.cornell.edu/portal/species/overview?p_p_spp=514956. Moore, Robert T. 1935. A new jay of the genus Cyanocorax from Sinaloa, Mexico. Auk 52:274-277. This entry was posted in Birds, Jays, Mexico and tagged anthropology, archaeology, birding, caged bird, Ecuador, feather, jay, Mexico, phylogeny. Bookmark the permalink. Beautiful post. Enjoyed it very much. Thank you. Never seen this beautiful tufted jay before.. they aren’t found here in Sharjah.